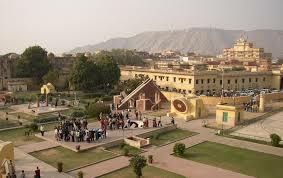 Rajasthan is one of the most charming and captivating states of India. It is globally famous for its cultural and heritage attractions. The state is culturally and historically rich and draws a large number of tourists from all over the world. On Heritage of Rajasthan tours, you will have an excellent opportunity to visit some rich cultural heritage of India which includes magnificent monuments, invincible citadels, majestic mansions, fantastic forts, palatial palaces, splendid havelis, terrific temples, heritage hotels, and many more. 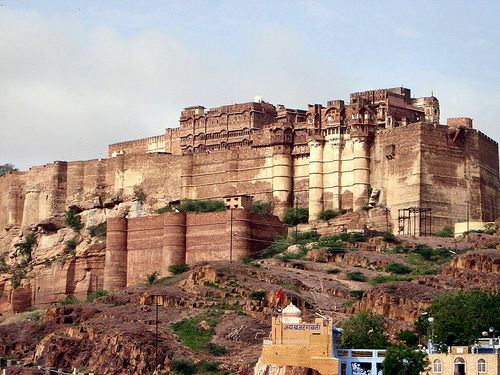 The Rajasthan packages will cover rich historic places like Mukundgarh, Bikaner, Jaisalmer, Jodhpur, Udaipur and jaipur. All of these cities have magnificent tales of their cultural and heritage past. If you have a passion to explore cultural and heritage history then this is the perfect tour for you. After breakfast a full days sightseeing tour, with an English speaking guide, around Old Delhi – during the morning you will see the Red Fort, Jama Masjid Mosque and the fascinating bazaars of Chandi Chowk. In the afternoon, we visit the sites of New Delhi – 13th century Qutab Minar, Humayun’s tomb and the majestic India Gate. Overnight stay in Delhi. On arrival at Jaipur Airport, transferred to Hotel. Remaining day free for Leisure. Evening transfer to Chokhi Dhani for Rajasthani Dinner. Overnight stay at Hotel. After Breakfast, full day sightseeing covering The Amber Fort, City Palace, followed by a visit to the Jantar Mantar space observatory, Hawa Mahal (Palace of Winds) with its incredible façade of balconies. Overnight stay in Jaipur. After breakfast, drive to Bikaner and check into hotel on arrival. Freshen up and tour the Camel Breeding Farm, Junagarh Fort and other enchanting tourist attractions located in and around Bikaner. Overnight stay at Hotel. After Breakfast, drive to Jaisalmer. On arrival check into the Heritage Hotel. Remaining Day free at leisure. Evening excursion to Sam Sand Dunes for Camel Safari. Night back to Hotel. Overnight stay at Hotel. After breakfast , full day sightseeing tour to include a visit to the Gadisar Lake, Sonar Fort, Lodaurva Jain Temple, Amar Sagar, Salim Singh Haveli, Patwon ki Haveli . Lunch and dinner at your own arrangement. Overnight stay at Hotel. After breakfast, depart to Jodhpur. On arrival check into Hotel. . Afternoon visit Mehrangarh Fort and museum, Jaswant Thada Memorial, and Mandoor garden. Overnight stay at Hotel. After breakfast, depart to Udaipur. Enroute visit Ranakpur Temple. On arrival at Udaipur, check into Hotel. Remaining day free for leisure. Overnight stay at Hotel. After breakfast , full day sightseeing tour to include a visit to the City Palace, Jag Niwas, Jagdish Temple, Dudh Talai, Pratap Memorial, Sajjan Garh , Pichhola Lake and Saheliyo Ki Bari. Overnight stay at Hotel. After breakfast, drop at Udaipur Airport, your journey comes to an end. Take your sweet memories of incredible India with you.